Everybody knows LA has some seriously delicious restaurants! But as health-seeking, clean-eating citizens, Angelinos expect more than just happy taste-buds! And like most of you, we’re constantly on the hunt for food that not only tastes good, but is good for our bodies, too. Want to know more? We thought so! Scroll down to discover some of our favorite healthy Los Angeles -based restaurants. With locations in Culver City, Echo Park, and Pasadena, Sage Vegan Bistro is a plant-based experience you can’t miss. With inventive entrees like the Bun-less bun bowl and Mushroom steak dinner, you won’t have to scrimp on flavor just cause you’re not a fan of meat. Don’t forget to save room for their delicious gelato! Known for supporting local farmers, sustainable agriculture, and environmentally friendly products, this super-trendy restaurant offers more than just delicious food! Customers are encouraged to order off the menu by stating an “I am” affirmation, and the nourishing and tasty cuisine will leave you feeling grateful indeed! For a unique southern style dish, try the I Am Resolved. For the LA local on the go, Kye’s offers super-tasty super foods when you’re pressed for time. 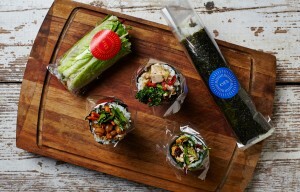 Known for creative wraps like the Nori N Lox and Nori Burger, every bite is packed with enlivening supercharged energy to get you through any busy LA day! Insider tip: Grab one to munch on while you brave the 405 during rush hour. You can just feel the level of commitment and pride behind the cuisine at Real Food Daily. 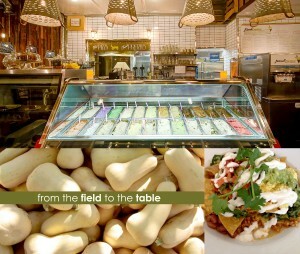 Freshness and sustainability never tasted so good! From their famous jackfruit street tacos to a spicy BLT sandwich, you just can’t go wrong with this healthy L.A staple. Insider tip: Head to the Santa Monica location and enjoy your food to-go on the beach! Let’s face it! 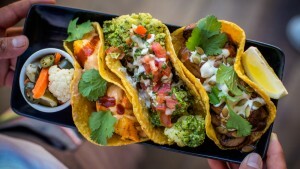 Angelinos know (and love) their Mexican food! But sometimes the extra meat and grease can take a toll on your beach body. Thanks to Gracias Madre, you can now enjoy the delicious taste of Mexico with healthy locally sourced vegan products in a sleek and beautiful setting. Trust us, you’ll be begging for mas! We love all the healthy choices that come with being an Angelino – but with so many, we’re sure we’ve probably missed a few noteworthy names! Comment below to share your faves – we’re always looking for new spots!